According to Trish Groves, journals exist not only to publish good work but also to teach. This can be done simply, through instructions for authors, or more elaborately, through educational resources such as those discussed in this session. Research questions are not relevant to clinicians and patients. Methods are not appropriate or robust or correct. The final version of the publication is not available to others. This means authors conduct the work but do not end up publishing it. A report is poorly written or not understandable (or both). It is estimated that more than $100 billion per year is wasted in these ways. To address some of these issues of waste and teach authors to conduct and publish the best possible research, The BMJ launched the Research to Publication (RTOP) program. RTOP provides education for early-career academics in healthcare research (including authors and peer reviewers). The subscription-based program offers self-led modules to choose from. The modules teach authors how to write papers and also demystify what happens at a journal. There are 6 online courses, each of which takes about 40 hours to complete. Next, Lila Castellanos-Serra pointed out that, in Cuba, health services are universally accessible and free. Medical education is also free, up to doctoral status. Despite this, scientific output is low for the number of health professionals, and there is little presence in international databases. Medical Education Cooperation with Cuba (MEDICC) is a nonprofit organization working to use the Cuban experience to inform global health. It publishes MEDICC Review, an open-access, peer-reviewed journal about Cuban health care experiences and results. MEDICC Review addresses gaps in writing skills through conferences and mentorships, organized in collaboration with the Cuban National School of Public Health and Pan American Health Organization. For two weeks, students attend classes full time to learn writing skills by actually writing a paper. The sessions consist of lectures and discussions, personal mentoring, intensive work on manuscripts, and additional reading to complement the course offerings. The course is not conceived as an end point but as the beginning of a collaboration between mentored authors and mentors. Science quality, addressing problems such as poor quality of methods and research, introducing Equator, with emphasis on good research and publication practices. MEDICC Review recently found that about 50% of the course participants did not have sufficient backgrounds in statistics. 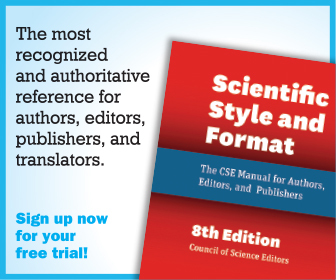 Manuscript preparation and evaluation, including a description of common article types and basic writing skills (e.g., how to organize a paper). Tools for preparing and evaluating manuscripts. This includes quantitative studies in science and technology, bibliometrics, impact factor and h-index, as well as literature databases and search engines. A discussion of ethics. Students learn what might constitute misconduct, including fraud, fabrication, plagiarism and self-plagiarism. 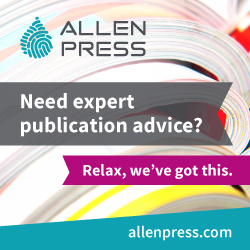 How to interact with editors and reviewers and how to decide where to submit your article. By the end of the course, 26 of the 42 participants were ready or close to ready to submit a manuscript to a journal. Journals have an active role to play in educating authors from low- and middle-income countries. 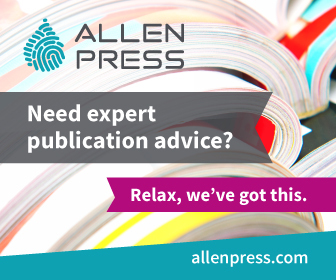 Authors have an interest in seeing their research published in high-quality journals, and journals are of course interested in publishing the best research. Through educational programs such as RTOP and MEDICC, both authors and journals can benefit.